I know. I know. A second salad posted in an entire year. So sue me. 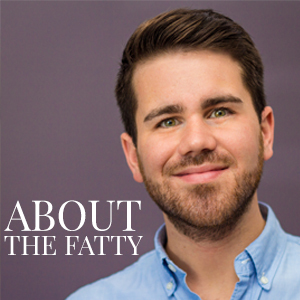 — With all of the annual new year buzz about healthy eating, I’ve sorta slowly eased onto the bus (or jumped in front of the train, if you’re an optimist like myself). Not only am I posting another salad recipe, but its primary ingredient is *gasp* kale. 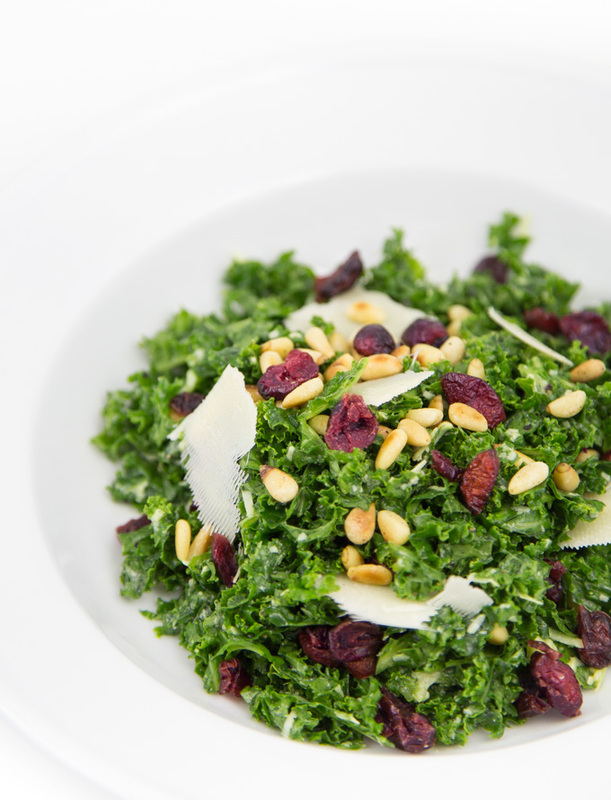 This pulverized kale salad is tossed with a super-simple citrus olive oil vinaigrette. Toss on some coconut oil toasted pine nuts, sweetened cried cranberries, and fresh parm for the final shebang. For all of you fatty-lovin’ folks out there with your hand on the unfollow trigger, just know that I maaaaay have first introduced this salad into my own kitchen with a side of fries. With a glimpse of hope for my summer bikini body, I am proud (?) to say that the second and third times that I ate this during the past week (seriously. ), I didn’t have to add any additional safety carbs™. For a non-greeny, that’s def an ode to the tastiness of this rabbit food. The original inspiration for this salad came from a local Nashville staple, Kayne Prime. This place consistently puts out some of the best food in the city. Every great steak-stop should master a simple salad to offer on the side. They have done exactly that in a way that is so well-known in town that several of my fellow bloggin’ buddies in town have re-created it in their home kitchens. This is my twist, changing a bit around with the use of cranberries and toasting the nuts with a splash of coconut oil and salt. I added a bit of white balsamic to the vinaigrette to balance the added sweetness of the dried berries. Here’s to the new year and eating a salad every twice a year. I’ll drink (a shake, obv.) to that. Begin by washing and stemming the kale. Rinse and pat dry. Place kale (in batches) in food processor and pulse until pulverized. Store in bowl. In a pan over medium heat, toast pie nuts with coconut oil and salt until fragrant. Remove to cool. In a small bowl, combine olive oil, fruit juices, zest, balsamic vinegar. Add vinaigrette and toss. Top with cranberries, nuts, additional parmesan, salt, pepper to taste. 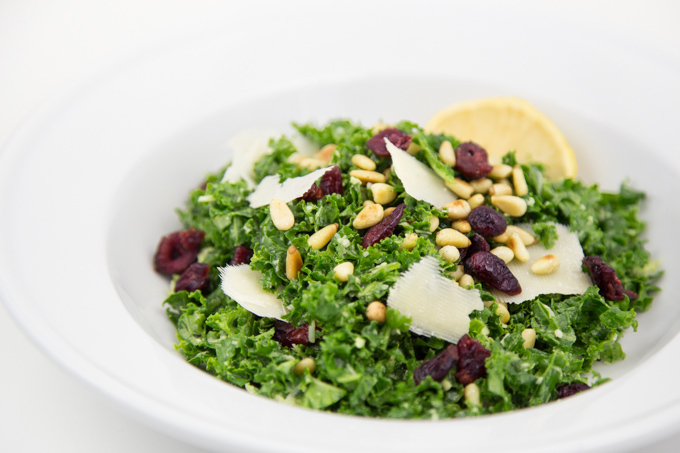 Recipe based upon Parmesan Kale Salad with Raisins by Beth at Eat. Drink. Smile. This salad looks delicious, Phillip! I have to be honest, I was actually slightly tired of dessert by the end of the holidays and started craving healthy savory food! Thanks! I’m right there with you. The holiday season wore. me. out. yummy…add some pomegranates and I’m there..happy new year!!!!!!!!!! I kind of burnt myself out on sweets over the holidays, now I’m looking at learning to make some more savory things. Gluten free versions of course though. Amen! As much as I hate to admit it, I was sugar-ed out. Hope you enjoy! They’re seriously a favorite of mine. Especially the sweetened dried ones… hah! I’m fine hoarding all of the cranberries all year long while everyone else waits for Thanksgiving. Haha I just posted a kale salad as well 🙂 It’s totally fine this time of the year. Happy New Year :)!! Tis’ the season to act like we are healthy. Hah!